At International Centre for Integrated assessment and Sustainable development (ICIS), Maastricht University, 5 PhD student vacancies are available for candidates from Indonesia within the research program Social and economic effects of partnering for change in agricultural commodity chains: A Southern perspective. The research program is a collaboration between Maastricht University (the Netherlands) and the University of Lampung and Gadjah Mada University Yogyakarta. The program has been funded by DIKTI Indonesia and the Royal Netherlands Academy of Arts and Sciences. This research program aims to analyze the social and economic effects of global certifying sustainability partnerships that aim to connect Southern agricultural production to Northern consumption. The global coffee and palm oil chains serve as main fields of research in the assessment part of the program. The prospective part of the research includes cocoa, spices, and aquaculture; commodities on which new certifying partnerships are in an early stage of development and implementation. Have the Indonesian nationality and are working at an Indonesian university/ research organization or willing to do this after completion of the dissertation. Have finished a master degree from a reputable university (domestic or abroad) in a social science discipline with excellent results (political science, sociology, (agricultural or institutional) economics, environmental studies or other related fields). Having written a master thesis on a topic related to the program or a related experience / extensive knowledge is preferable. Have the willingness and proven ability to work cooperatively with the other PhD students and able to work annually approximately 6 months at Maastricht University in the Netherlands. Have a creative and dynamic personality and an enthusiastic and cooperative working attitude. Have a strong analytical capacity and are able to formulating views, ideas and concepts based upon complex information, and constructing conceptual frameworks or models. Have an excellent written and verbal English language skill. Applicants whose first language is not English will be required to take the IELTS Test or TOEFL test. On request a full program description is available. Further information can be obtained by Prof. dr. Pieter Glasbergen. Information about the procedure: Anja van Bogaert, managing director ICIS (al.vanbogaert@maastrichtuniversity.nl or phone +31 433882665). It is envisaged that selected candidates will enroll in the program 1 January 2013. Scholarship and living allowances to live about 24 months in the Netherlands and 24 months in Indonesia. Maastricht University is renowned for its unique, innovative, problem-based learning system, which is characterized by a small-scale and student-oriented approach. Research at UM is characterized by a multidisciplinary and thematic approach, and is concentrated in research institutes and schools. 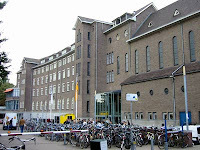 Maastricht University has around 14,500 students and 3,800 employees. Reflecting the university’s strong international profile, a fair amount of both students and staff are from abroad. The university hosts 6 faculties: Faculty of Health, Medicine and Life Sciences, Faculty of Law, School of Business and Economics, Faculty of Humanities and Sciences, Faculty of Arts and Social Sciences, Faculty of Psychology and Neuroscience. Demikian kami sampaikan tentang PhD in Social Sciene for Indonesian Student, Maastricht University, Netherlands semoga informasi tentang PhD in Social Sciene for Indonesian Student, Maastricht University, Netherlands ini bermanfaat.